Raul Luis “Ruly” Cruz is a new, unique voice in literature. It was a pleasure to read his journey from childhood to manhood, and how he learned to navigate between two worlds, two cultures. Set in El Paso, Texas, this novel crosses borders in more ways than one. As Ruly goes back and forth between Mexico and the U.S. to visit relatives, he learns about his roots, his traditions, his culture. And back in the U.S., with his trusty Map Book at his side, Ruly learns to identify his place in American Society, the Chicano community and the world at large. 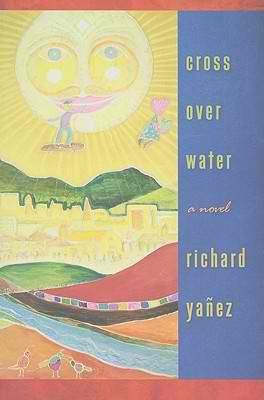 ABOUT THE AUTHOR: Richard Yañez is a Chicano writer and associate professor of English at El Paso Community College. He was born and raised on the U.S.-Mexico border. CROSS OVER WATER: A NOVEL is his second book. Learn more about him by following him on Facebook at www.facebook.com/crossoverwaternovel. For information on the International Latino Book Awards, visit Latino Literacy Now at http://www.lbff.us/.